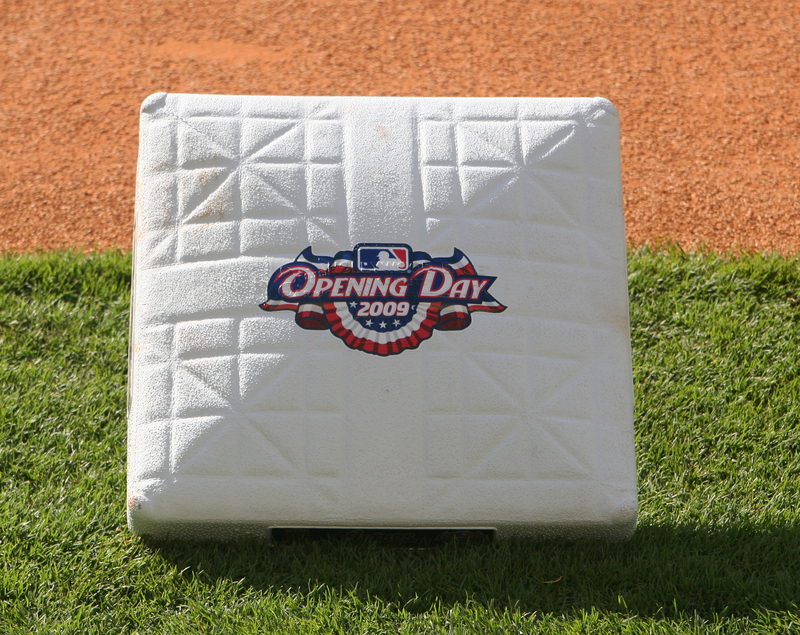 There’s nothing quite like Opening Day at the ballpark. There’s just something about the anticipation of the season, seeing old friends, making new ones, and the excitement the day brings. 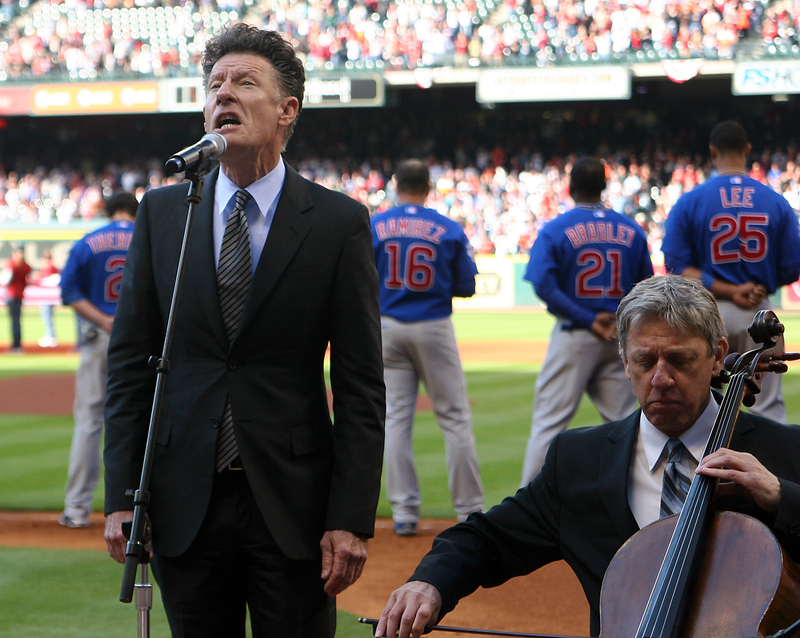 The Cubs and the Astros opened up in Houston with a Cubs win. Soriano (2 for 5) hit a homer off Roy O on the second pitch of the game. The Z-pack, Zambrano had his game on, and worked it hard. Zambrano came to Houston, in shape, and determined. He had his slider and breaking ball going as well. After beating the Astros with a shut-out their last meeting in the fall, he left in the 7th, and earned the win. Roy O had a respectable outing, but it wasn’t enough, as the Cubs took the Stros 4-2. Here are some sights from Houston’s opening day, and by the way, they broke an attendance record. I always wonder about attendance records – I mean, a stadium holds so many seats, don’t they? And when you have sell outs, then there should be so many tickets sold for the seats on hand and for standing-room that is allowed. So it beats me how we continually beat records. But, that’s a good sign the economy is holding well in Houston. Minute Maid park celebrated it’s 10th anniversary. It’s hard to believe it’s that old. It’s also hard to believe I have been covering baseball for mlb.com/kids going on six years. Time flies, but I am having so much fun. 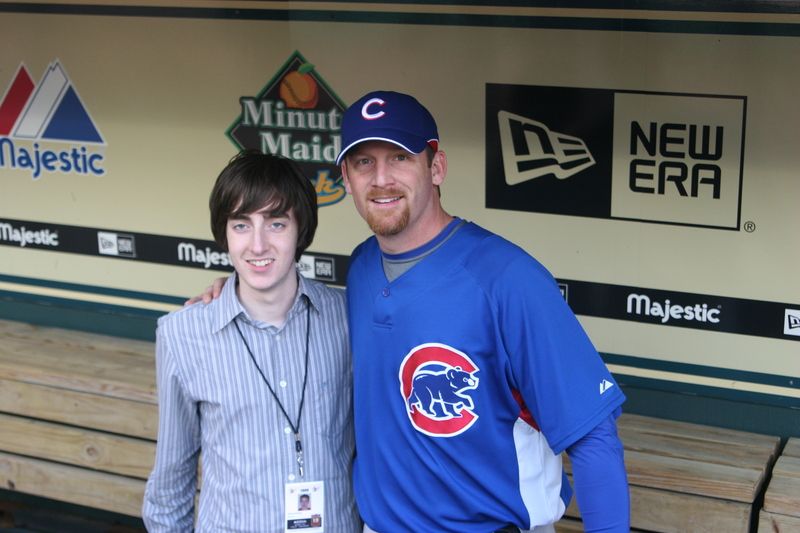 Ryan Dempster came up to me after batting practice to catch up and say hello. Many of you might remember my video interview with Ryan a couple of years ago, where he entertained us with his magic tricks and exceptional impression of Tommy Boy. I’ll look and see if I can find a link to the old interview. It’s really funny. So here’s to another great season. May your hometeam win! Who is the hardest hitter for you to pitch against? How do you describe the sound of a homerun? As a pitcher, you just know when they hit the ball hard, the sound, and you know it’s gone. What’s your greatest strength as a player? I think being able to do a lot of good things on the field and showing people you can do the job. What’s the best thing about being a professional athlete? I think seeing all the cities, and going around the United States, and seeing beautiful cities like San Diego and Los Angeles, New York, all those places. San Diego. It’s beautiful, and calm, and I also enjoy Miami. I like to go there to fish. So is fishing a hobby? Yes, I love to fish. When it’s two in the morning and you can’t sleep, what movies do you like to watch? All the Jim Carrey movies. I really like all his movies a lot. I loved Dumb and Dumber. What’s the scariest thing that has ever happened to you on the field? I think one time somebody hit a line drive off me and I caught it right on my face, and that was scary. Do you ever get tired of fans asking for autographs? Oh no. Not on the street, no. But when I’m eating and someone comes to me, that kind of bugs me, because that’s the time I am doing something for myself, and it’s the only time I don’t like them asking for autographs. I’m eating, and it’s not the right moment. But, I don’t mind any other time. Did you ever get autographs when you were a kid? Oh yeah. One time I got one from Andres Galarraga, he was playing close to my hometown in Valencia, and I got his autograph. I have been away from my blog for a while. It’s not because I don’t like blogging – school kind of took over this past semester, thanks to Hurricane Ike throwing schedules off. Going through a hurricane is not fun. I now have first hand knowledge of what it is like, and don’t recommend it. We were out of school for two weeks and that really messed things up. 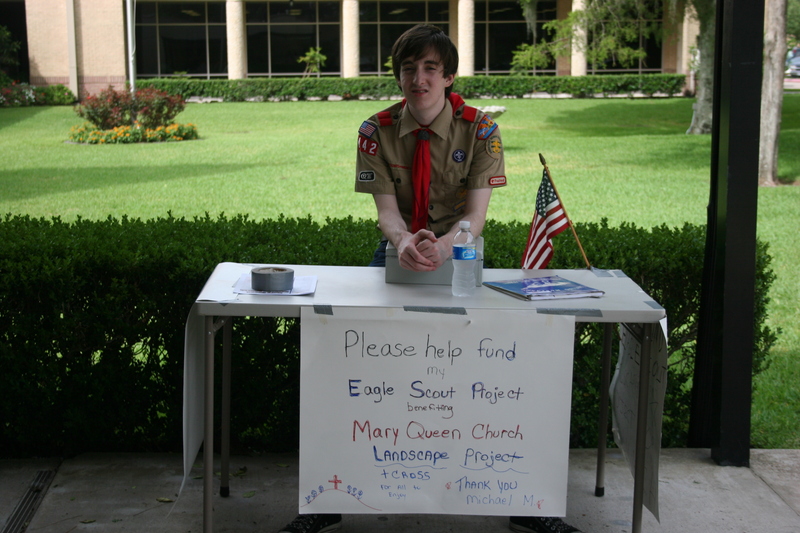 I also recently earned my Eagle Scout award, and that in itself was a lot of work, but very rewarding. 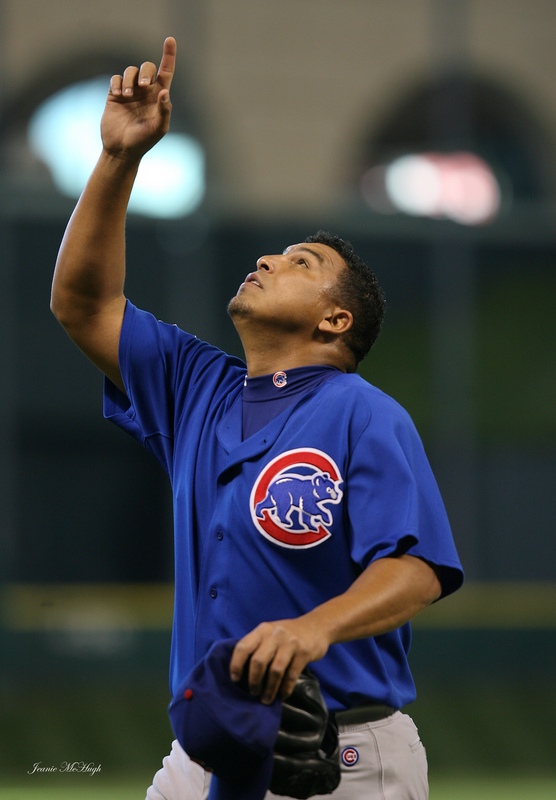 So, I’m back, and my first installment will be an interview with Carlos Zambrano for all you Cub fans. Hope you enjoy it! 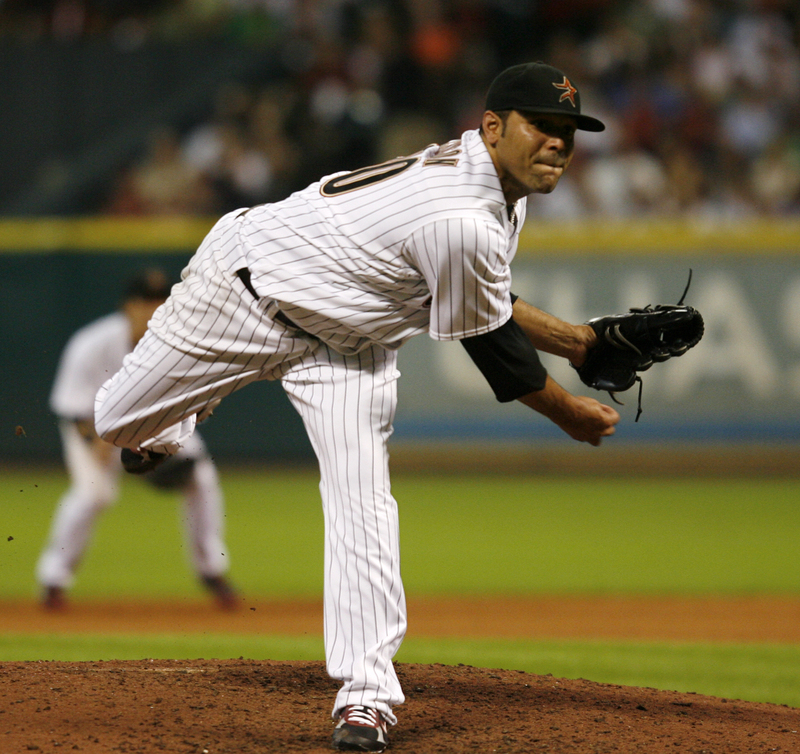 The Astros indefinitely suspended pitcher Shawn Chacon tonight. Reports from the locker room say that General Manager Ed Wade asked Chacon to go to Manager Cecil Coopers office. Chacon refused. He has been upset over the possibility of being removed from the starting rotation to the bull pen. 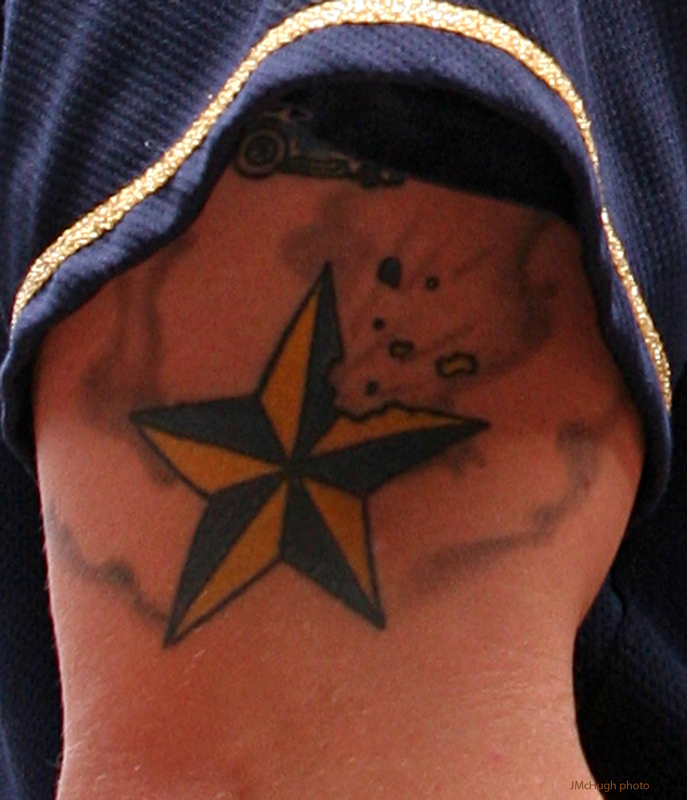 He asked for a trade, and did not want to stay with the Astros if he couldn’t start. According to Chacon, as told to the Houston Chronicle, Wade again asked him to Coopers office, and Chacon told Wade he could say whatever he wanted to say to him there in the players dining room. According to Chacon, Wade began yelling and him and cursed at him, and Chacon lost it, grabbing Wade by the back of the neck and taking him to the ground and holding him there. It took other players to pull him off. Wade would not speak of the altercation afterward, only referring to it as an internal matter. Chacon was escorted out of Minute Maid Park by security. Anger management? A little late for that. Lots of people would like to be paid 2 million to sit in a bull pen. Check out the latest mlb.com/kids interview with Hunter Pence! http://houston.astros.mlb.com/media/video.jsp?mid=200806092879409 or go to astros.com and check out the video in the top right corner. Also, at www.mlb.com/kids you can see one on one interviews with Josh Beckett and Nolan Ryan. Enjoy! Mother’s Day is upon us, and it’s the opportunity for us to honor mom and tell her how much we love her. While people celebrate in different ways, here’s how some of the Brewers will be honoring their moms this year. Happy Mothers Day to all the moms out there and a big shout out to my mom, who does so much for me. Love you Mom! I’m not sure yet for this year. Before, I took out a full page ad in the newspaper to let her know how much I appreciated her, and one time I was playing a Sunday night game and I got a chance to do it on a national telecast. I will get to see my mom this week, so we’ll celebrate then. I try to put some thought to it, and it’s the thought that matters. I have my mom coming to town for the weekend so I will be able to see her and I’ve also got my aunts and a couple of cousins. Maybe we’ll do a dinner and a movie, something special, and just spend time with her. (A couple of years ago he bought her a car). With a day off coming up, I am going to go back home to Orlando and visit my wife and send something to my mom back in Puerto Rico. I will probably take my wife to dinner and spend time with the kids and just relax. The routine is usually flowers and dinner. I think my mom is supposed to be coming out to Milwaukee for Mothers Day. Hopefully we can show her a good time while she is there. She gets to see her granddaughter. She is only six-months old, so that will be fun. It’s weird, but this spring it was eight years ago that my brothers and I got to go and see the Marlins (as Counsell’s guests) at spring training in Viera. For those of you that read my blog, you know that Craig Counsell is my brother Zach’s ultimate favorite player of all time. Their relationship developed when Craig was beaned in the jaw by a CJ Nitkowski fastball, and went on the DL with a wired shut jaw. Zach wrote him tons of letters, and believe it or not, Counsell HAND WROTE a note back to Zach. They became friends, and to this day the friendship remains. So, here we are eight years later, and Craig is in town with the Brewers. He still remembers us, and my brother still goes to visit him every time he is in town. It’s strange, because, he has seen my brother grow up and it has to be weird for him. This little kid who wore Counsell shirts and decorated his room with everything Counsell is now a teen ager – all grown up. We are heading out to the ballpark tomorrow to see Craig, and he will be really surprised to see how tall Zach has gotten. There seems to be so much bad publicity lately with baseball players, and I write this just to remind everyone that there are some really great players out there. Ones who remember their fans, and play the game because they truly love the game. 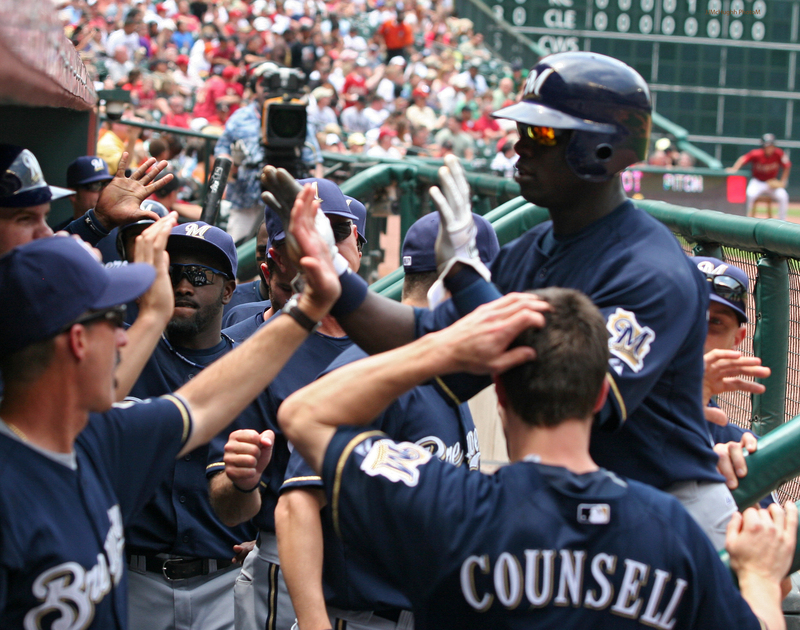 Counsell is a guy who always becomes a fan favorite, no matter where he plays. I don’t know how much longer he’ll continue, but I am glad he, and others like him, are in the game. THEY are what baseball is all about, and worthy of looking up to! Thanks Craig! You have to admire Andy Pettitte. Yes, he took HGH. No, he shouldn’t have. But who of us hasn’t made a mistake and regretted it. Who of us is perfect? I think Andy Pettitte is a bigger role model now because he came out and spoke the truth. He didn’t hide behind it. He stepped up, spoke out, admitted his mistakes, and apologized for them. He recognized the wrong, and made it right. That’s a role model in my opinion. He isn’t afraid to speak of his relationships with God, his church and his family. Recognizing what is most important in his life – his family and his conscience – that is what he stood up for. He taught me that you have to own up to your mistakes, regardless of the embarrassment it may cause. Telling the truth works so much better than carrying the burden of a lie. Face the music now. Own up, deal with the consequences, and move on. Was I even the least bit disappointed? You bet. But I have been around Andy Pettitte during his days with the Astros, and this is what I know about him. Andy was professional, respectful, kind, and always made time for this young reporter. Always. He never shunned me, turned me away, said he was too busy, or said maybe later. He stopped, talked, and took the time to answer my questions. The biggest impression he made on me was the time I was in the middle of talking with Andy, and a seasoned TV sports reporter came over and interrupted us, sticking his camera and mike in front of me, clearly expecting Andy to quit talking with the kid, and respond to him. Andy politely told the reporter that he was interrupting an interview, and they would have to wait until he was through. He took his time, paying no attention to the other reporter. He totally focused on our interview. You don’t know how important that was to me. Yes, Andy goofed. Andy also learned, and now it’s time to focus on baseball. I have always considered him a role model. I still do.